Batchelor Business Machines was established in 1976 by Joanne and Ben Batchelor. Ben had spent the previous ten years working for IBM in the Office Products Division servicing their Electric Typewriters and working closely with the sales staff learning their extremely successful sales methods. Joanne had extensive experience with phone sales and was exceptional in dealing with customers. 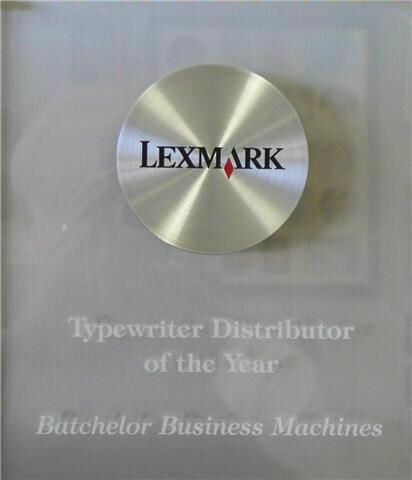 In 1983, after creating a large base of corporate accounts, IBM asked us to be an authorized dealer for the new series of Wheelwriter typewriters. We are now a Lexmark Authorized Dealer for the Diamond Series of Wheelwriters.